Google is planning to introduce a trimmed down special version of Google Play Store and Android Wear to The Mainland China. Google had ended ties with China five years ago. Then what made Google to re-establish itself in China once again? Business?? Recent reports by Amir Efrati at The Information state that Google has massive plans to re-establish itself in the Mainland China. Smart steps, though, but what happened back in 2010? 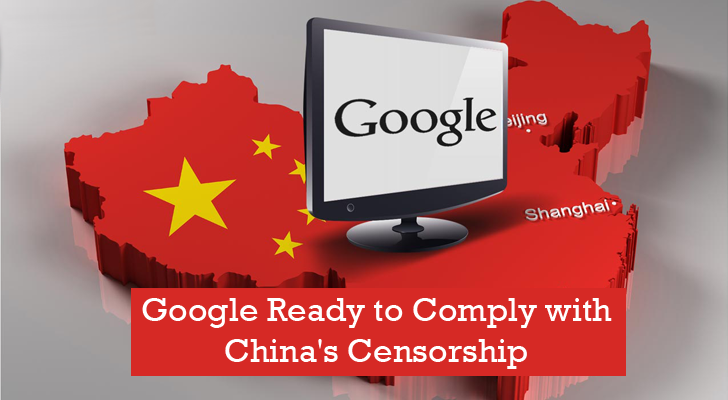 Google and China always contradict each other, China's Internet laws and Google's censoring the search engine was one battle. In 2010, Google famously retracted its search engine Google.cn from Mainland China, after they made accusations of the Chinese government for the data theft of unspecified intellectual property from their internal systems. They suspected that some state-sponsored hackers conducted a targeted cyber attack on Google's Gmail, which China later denied. Was it a mistake then, or is it the start of a new chapter now? ; Why take a U-turn? Let bygones be bygones...Google must break the ice soon. See what a month old Google's CEO Sundar Pichai has to say about it.